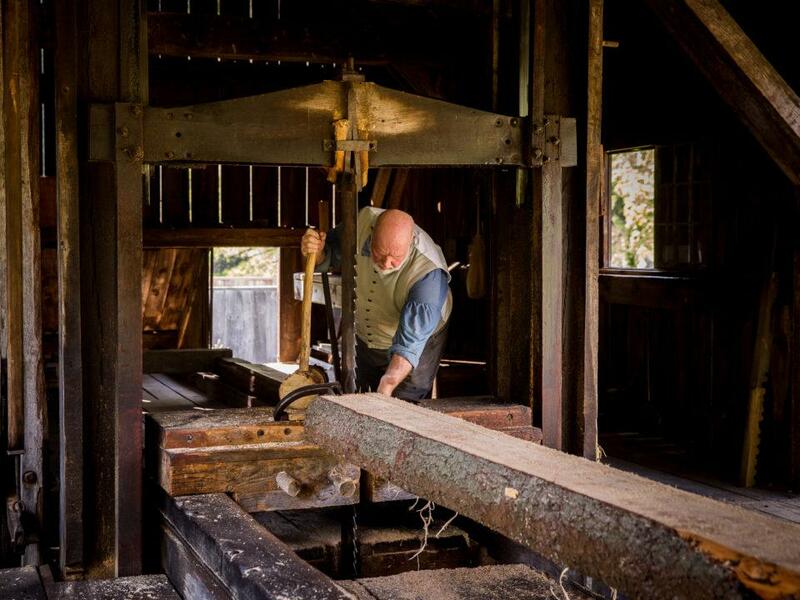 This rare water-powered sawmill—erected on the millpond site that David Wight, Jr. first created in the 1790s—is used to cut lumber for Old Sturbridge Village and other historic sites. 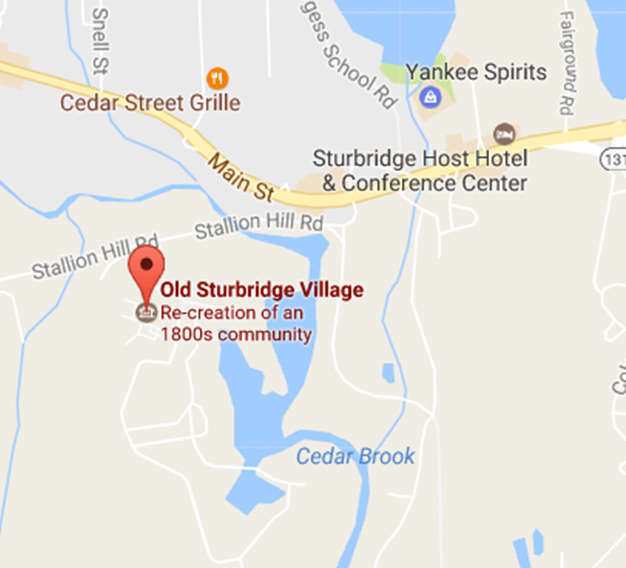 The Sawmill is based on what had been one of the oldest surviving sawmills in the area: the Nichols-Colby Sawmill of Bow, New Hampshire, which was destroyed in a 1938 hurricane. Although the Village demonstrates sawmilling in spring, summer, and fall, rural mills were busiest during late winter and early spring, when waterpower was most abundant and the demands of farming were less pressing. Sawmill account books suggest that since it was so difficult and expensive to transport logs and lumber, mills like this one concentrated on custom production for local customers.